Last spring, Pu$haz Ink and CTE World’s own YG released his official debut album My Krazy Life. While the project went to see much success, the Bompton rapper didn’t stop his grind in the mainstream to welcome those not in the known his Westside of things. 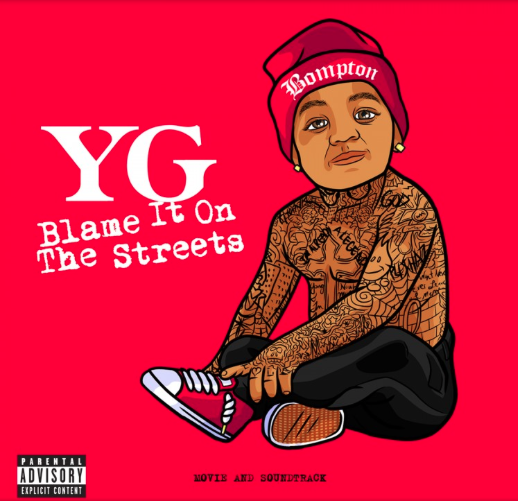 YG now releases his official movie and soundtrack entitled Blame It On The Streets. The 9-track project is available to stream below and has features seen from Nipsey Hu$$le, Jay 305, DJ Quik, DJ Mustard and Mack 10 among others. Be sure to purchase the iTunes version to watch the full movie.